Seniors and Parents of Seniors – photos and info needed: We need info from you for our Senior Recognition next week. We will also need their freshman school photo and their favorite action shot from the smugmug site—a flyer went home with this info came home this week. MCHS held the Spring letter of commitment signing ceremony on Wednesday for athletes who will be competing for their universities at the collegiate level. 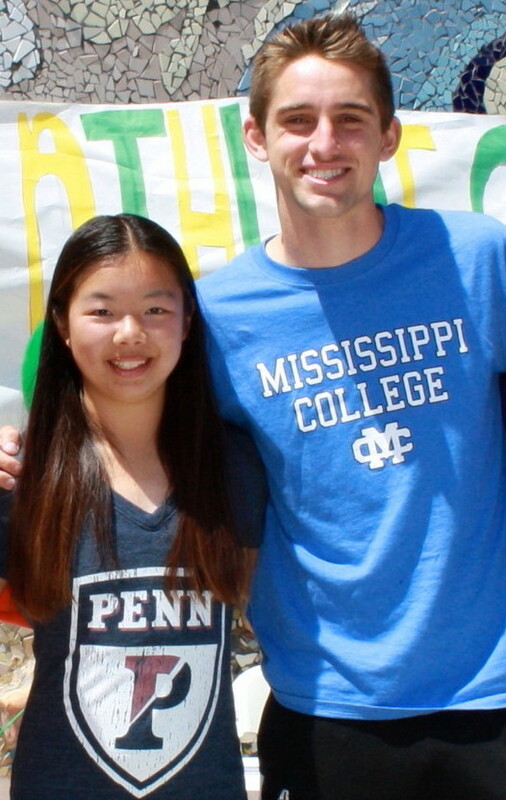 Two of our Track & Field athletes — Abby Hong (University of Pennsylvania, Distance Track and Cross Country) and Robert McMahon (Mississippi College, Track/Hurdles ) — were among those athletes recognized. Congrats!